Day 4: Word of the Day…WINDY!!! I don’t think I slept even 3hrs last night. None of us did because the wind gusts were INSANE! Just the noise from the flapping of my tent was enough to keep me up all night. I also had to get up 5 times throughout the night when the wind pulled my tent stakes up out of the ground and my tent collapsed on me. Some hikers gave up and tried to sleep out in their sleeping bags and were pelted with dirt all night. It was very bonding to see everyone with the same looks of exhaustion throughout the day. The strong winds continued all days as I hiked in breathtaking scenery. I had short periods of solo hiking and spent a lot of the day hiking with Kylie, Alex, Ethan, and Wiz while also playing leap frog with the usual suspects. 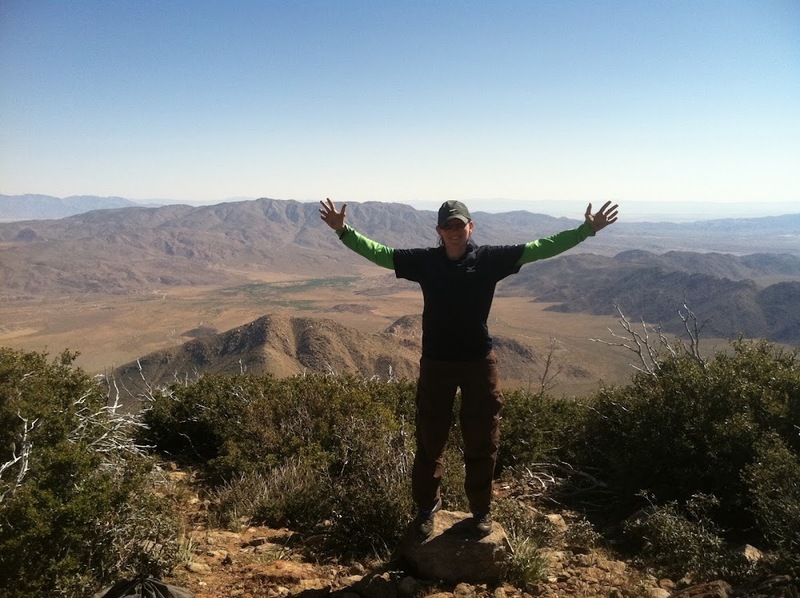 We had great trail that wound through and over the Laguna Mtns with endless views overlooking the Anza-Borrego Desert. We are all happily camped in a non-windy field tucked into the hills. Gorgeous! Two more nights until my first trail town stop at Warner Springs Hot Springs! While I’m there I’m going to be able to upload my slideshow of the first 110 miles. I also will fix the “Where’s Erin” tab so it has the correct map on the links. I also hope to reply to some of your great comments . Yay!